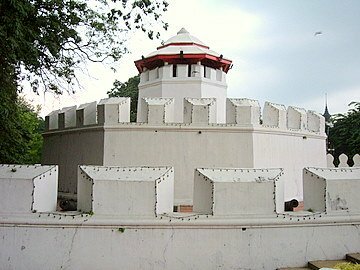 The Bangkok forts were constructed after King Rama I established Bangkok as the new capital in 1782. With the destruction of Ayutthaya by the Burmese in 1767 still fresh on his mind, security was a critical condition. The new capital, though in a far more defensible position than the previous capitals, Thonburi, Ayutthaya and Sukhothai, had to be reinforced. Lod Canal was already in existence, dug during the reign of King Taksin (1767 – 1782) when the capital was still in Thonburi.The canal was renamed Asadang Canal in 1982, after Prince Asadang, a son of King Chulalongkorn or King Rama V.
With the Chao Phraya River on the west and Lod Canal to the east, a second canal ring was dug in 1785 by 10,000 Khmer prisoners of war. This canal stretched from Banglampu in the north to the present Phra Pok Klao Bridge in the south, creating a virtual moat that turned the old city into an island – Rattanakosin Island. The second canal ring was called Rob Krung (around the city). Today, this canal is called Banglampu Canal in the north and Ong-Ang Canal in the south. A protective wall was erected along this canal. 14 Bangkok forts and observation towers along the Chao Phraya River and the Rob Krung Canal reinforced the city defenses. Unfortunately all that remains today are two forts, a section of the old city wall and an old gateway. 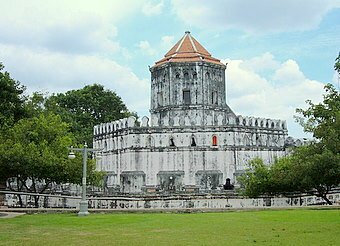 Of the two Bangkok forts that remain today, the first is Fort Phra Sumen at the confluence of the Chao Phraya River and Banglampu Canal. For the location, please see this map. 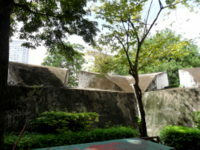 The second fort is Fort Mahakarn covering the Rob Krung Canal to the east, at the foot of Wat Saket the Temple on the Goldem Mount. See this map for the location of this fort. 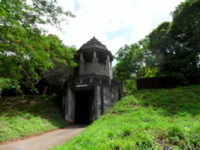 From Fort Mahakarn, about 200 m of the old city wall along Maha Chai Road is still standing today and so is the old gateway. From 1851 – 54, during the reign of King Rama IV, the third canal ring was built. This was the Padung Krung Kasem Canal, the longest of the three canal rings, stretching from Thewet in the north, past Hua Lam Pong Station to Bangrak in the south. This time, Chinese laborers dug the canal. In 1785, three years into the reign of the King Rama I, Thailand faced a massive Burmese invasion all along its long borders with Burma. The invasion was beaten off after a series of campaigns. 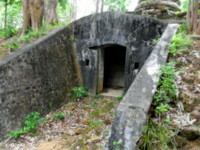 The Bangkok forts and the canals provided a secure base from which to launch the counter offensives to defeat the invasion. This protection and security ensured the survival of the new capital, which has transformed over the last two centuries into a modern metropolis today. In the reign of King Rama IV more forts were constructed, this time on the west bank of the Chao Phraya over in Khlong San. 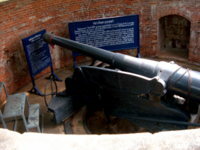 Of the eight forts that were built only one barely survived destruction. Only a small part of Fort Pong Patchamit remains today in Khlong San.